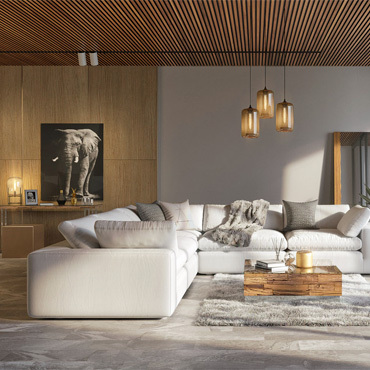 MIAMI, March 11, 2019 /PRNewswire/ -- From one small showroom and a website, to an expanding empire, Modani has opened another location right in the center of Costa Mesa. Now with two Southern California stores up and running, getting designer inspired home furnishings just got a lot easier. Situated on 3309-F Hyland Avenue in the SOCO Design Center among a complex of acquaint boutiques and eateries, Modani's modern storefront sets the tone for luxury shopping. Almost 6,500 square feet of exquisite furniture and home décor items make up the new Costa Mesa location. Upon entering, shoppers will find both customer service representatives, as well as knowledgeable designers ready to assist with the shopping experience. Sink into a body contouring and luxurious sofa, or sleep soundly on an elegant bed seemingly made of clouds. Whether searching for simple and modern decor, or art deco stemmed themes, Modani has the design in mind. Over the past years, Modani has transformed the furniture buying experience by coupling polished designs with smile worthy price tags. The quality of products is reflected in their five star service, which is why the sky's the limit for this bolstering company. Take a drive down to SOCO and discover influential trends that can be only found at Modani.